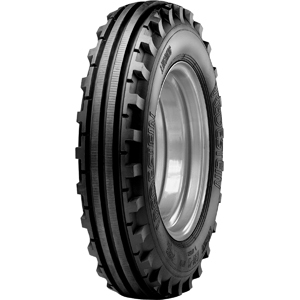 The Vredestein Lug Ring is a premium front tractor rib tyre ideal for compact utility tractors and small scale market gardens. Robust shoulder bars provide excellent protection against punctures. Advanced construction ensures optimal durability for a prolonged life span. Large tread surface area ensures minimal rutting, and even tread wear for longer tyre life.